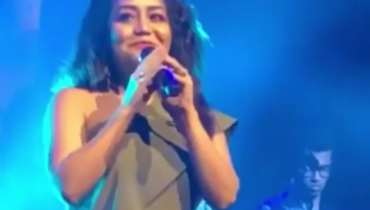 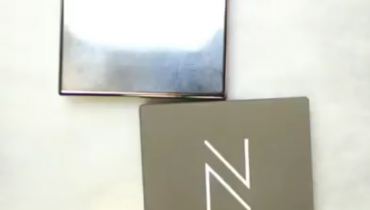 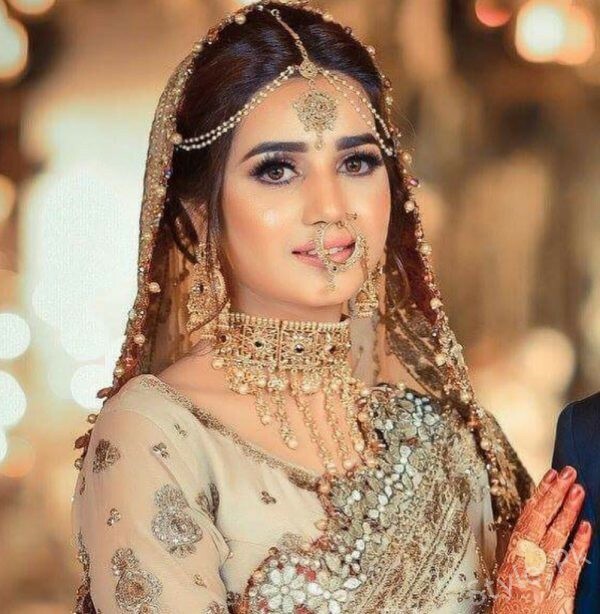 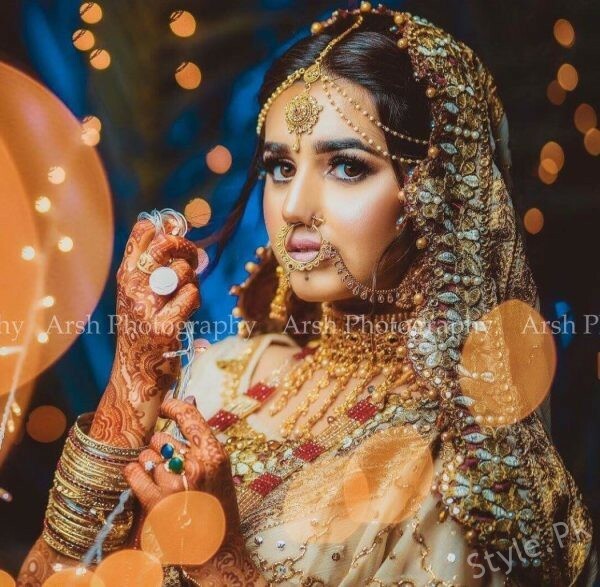 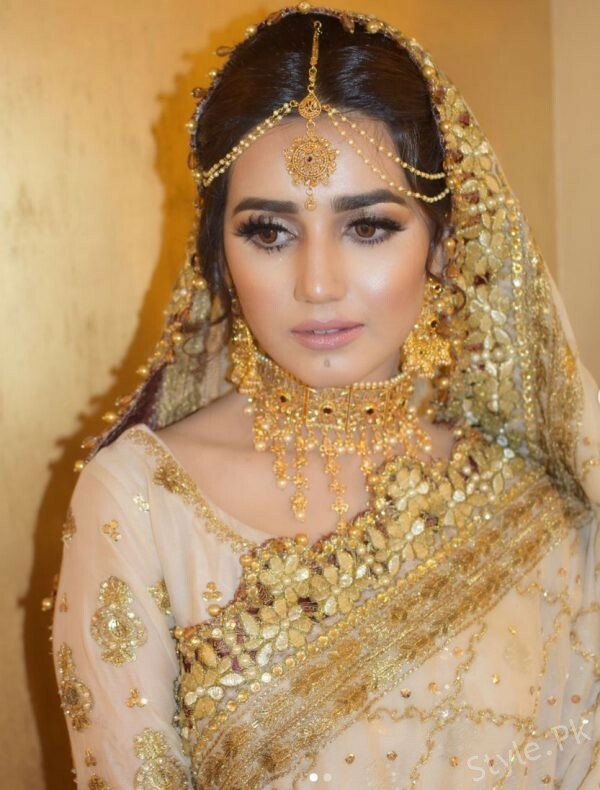 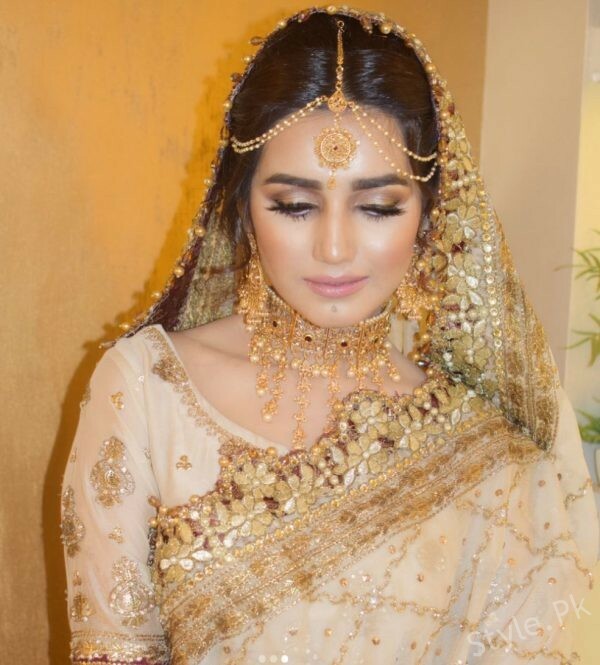 Anum Fayyaz And Asad’s Wedding-Videos, Actress Anum Fayyaz who got Nikkahfied in Masjid ul Haram in 2016 had her big celebrations this year. 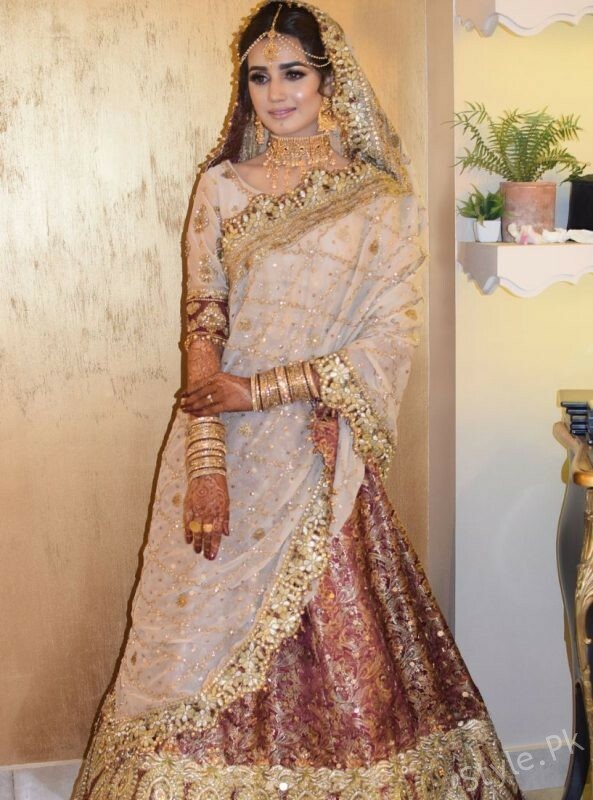 The actress opted for a Rajasthani gold lehenga with heavy traditional jewellery and looked like a vision. 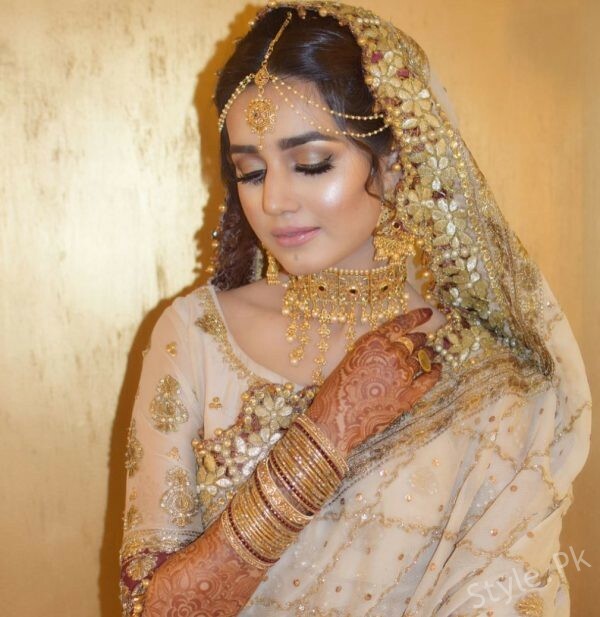 She was a sight to behold as her pictures came out. 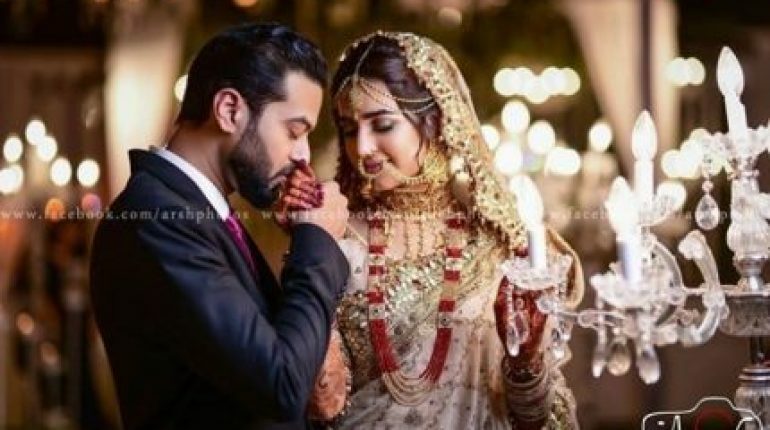 Her husband Asad was wearing a black suit and totally complimented his lady. 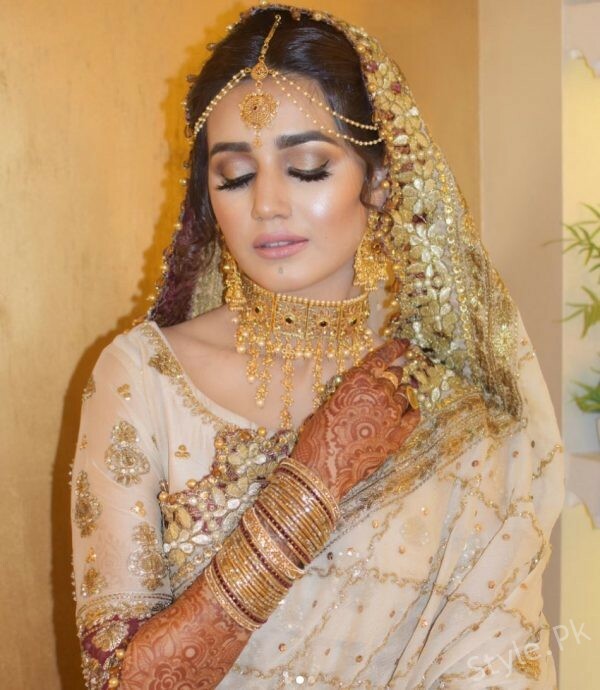 The new bride is taking some time off as she is enjoying her newly wedded life. 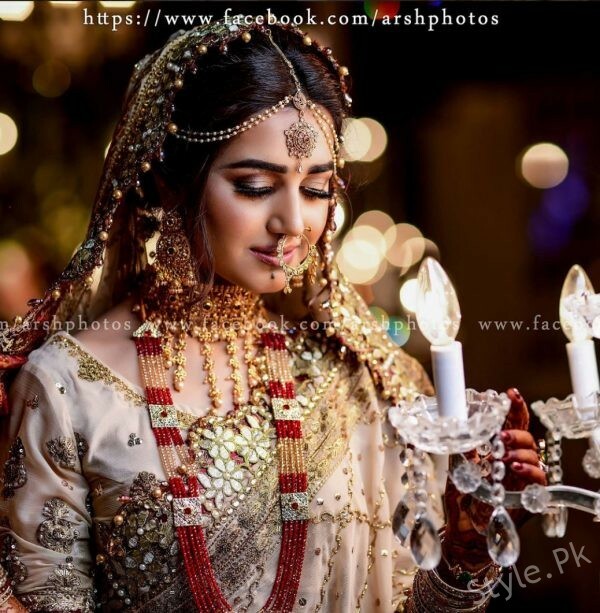 May she and Asad live a happy ever after!